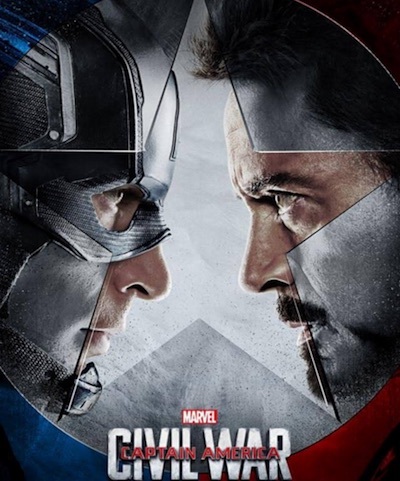 Captain America: Civil War is already shaping up as one of the biggest movies to hit during 2016 and this is further realized by the vast amount of collectibles that are being produced. 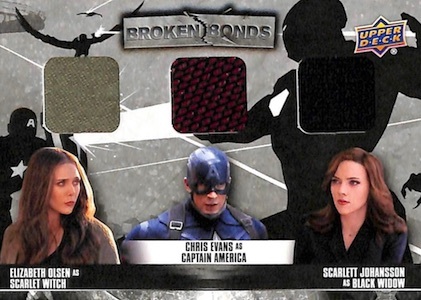 Similar to the previous movies, 2016 Upper Deck Captain America Civil War gives collectors a detailed cardboard release to work with. 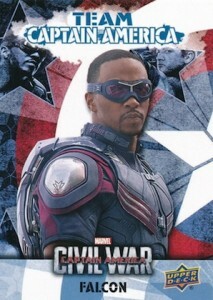 Highlights inlcude premium options like actor autographs and costume prop cards. Kicking things off, the 60-card base set is enhanced with Blue Foil, Red Foil (#/100), Green Foil (#/10) and PETG (1/1) parallels. 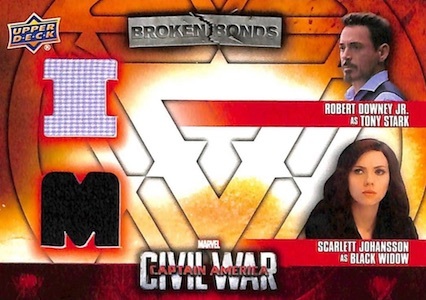 Among the more popular choices, 2016 Upper Deck Captain America Civil War comes with a variety of hit options. 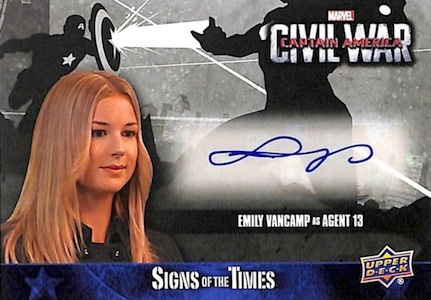 This includes Sign of Times Actor Autographs, Dual Versus Actor Autographs, and Dual Team Captain American Actor Autographs. 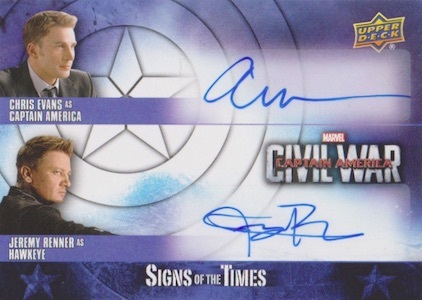 No checklist was provided but Chris Evans is listed as a tentative signer. 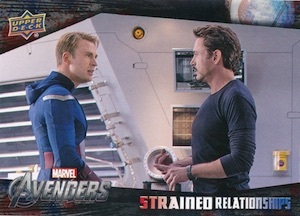 In addition to the signed cards, there are also Sketch cards as well as multiple Costume Prop cards that average 1:5 packs. This includes Single, Dual, Triple and Quad relics. 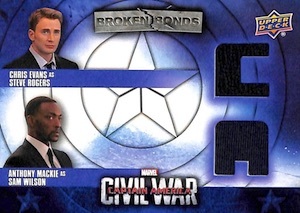 Offering more for set collectors, inserts consist of Behind the Scenes (1:3 packs), Concept Art (1:4 packs), Team Captain America Bios (1:6 packs), Team Iron Man Bios (1:5 packs), and Tension Builders (1:9 packs). 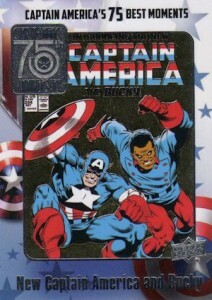 There is also a premium Captain America 75 Memorable Moments (1:30 packs) insert that celebrates the 75th anniversary of the legendary hero. 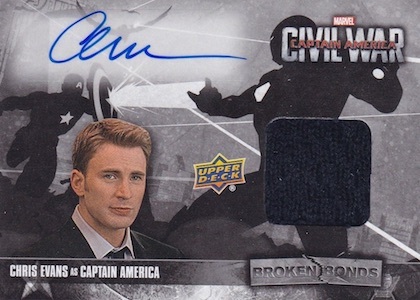 Limited on-card 75th artist Autograph parallels can also be found, including Stan Lee. The hobby set is 60 cards. 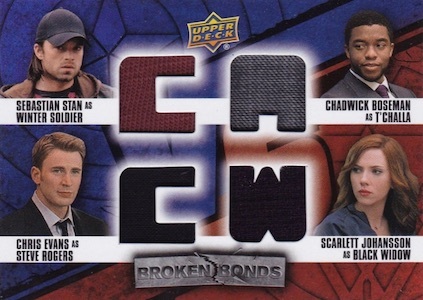 The retail set is 50 cards and has a CW prefix. 4 cards. Short Prints (SP) noted below. 19 cards. Short Prints (SP) noted below. 15 cards. Short Prints (SP) noted below. 6 cards. Short Prints (SP) noted below. 10 cards. Short Prints (SP) noted below. 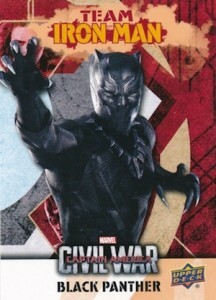 Does anyone know, is that also a chase set from captain america civil war? 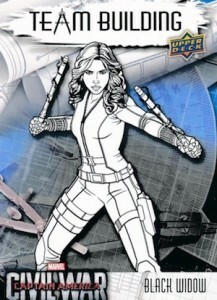 Cody � I found an updated checklist that includes the Known Heroes cards. 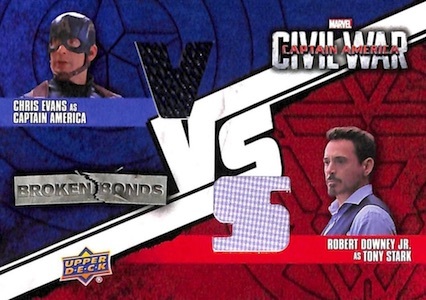 I am not sure if they are in retail or hobby or both but they are in UD Captain America Civil War. The Walmart exclusive packs seem to feature an entirely different set of 50 base cards compared to with what is listed in the 60 card set. 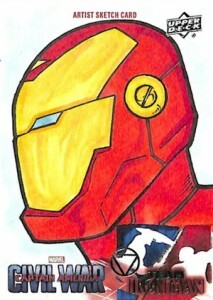 They are however prefixed with CW as mentioned. They feature no actual movie screen grabs and seem much more artistic in nature. 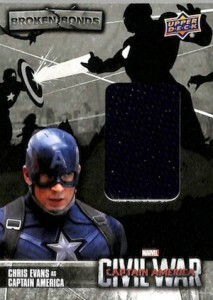 For example, Chris Evans as Cap with a red or blue background, etc. 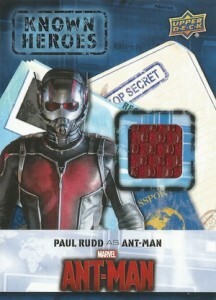 Generic character writing on the backs. They are a pack of 10 cards in a foil wrapper, encased in a cardboard hanger. $7.92 CAD up here. 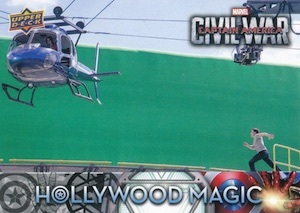 The odds are: Movie Memorabilia 1:6. Base set foil: Blue 1:1. Red 1:1. Movie Images 1:240. After buying 5 packs, I have exactly 2 actual doubles if you count the red set, blue set and the 2 foil sets separately. I got a KH-BW card as the MM odds.